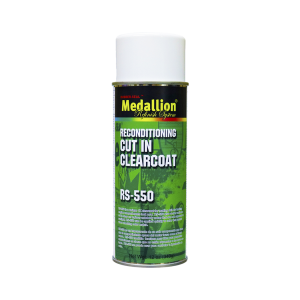 A versatile 1K clearcoat that can be used to cut-in hinges, door jambs and other small parts. It can also be used on sparay out cards for matching color. Does not yellow or haze over time like other aerosol clearcoats. Packaged in 16 oz. aerosol can.